This is the first of two posts on books from Book Expo America (BEA). Instead of doing one post, I decided to split it into two with one focused on young adult (or in the case of the last book, middle grade – Amazon says it’s young adult but the ARC and Tor catalog both say middle grade so I’m trusting those instead). 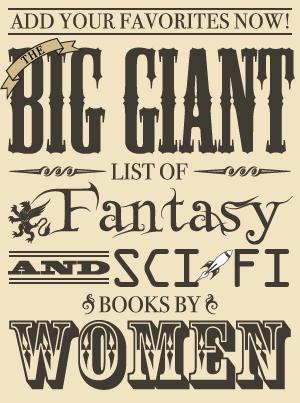 The other post will be on books that fall into the adult fantasy, science fiction, and horror categories. Splitting it up this way allows me to highlight the two books I am most excited about first in each post since there were 2 that I had to get or DIE FROM THE SADNESS. These all have the added bonus of being signed books, which I love! So when I heard Laini Taylor was going to be signing copies of Daughter of Smoke and Bone at BEA, I knew I must get this book. And I did – I was even second in a very long line for the book. Seeing how Laini Taylor reacted to the line was priceless. She was so excited and she even took some pictures of the line! They really promoted this book at BEA with the signing, putting out copies at least twice that I saw, featuring it at some events, and putting up a huge banner. It made me so happy to see that because I really believe she’s an author who needs to be read more. I was also happy to see that it had a new cover because I really didn’t like the old one. It’s still not as striking as the previous covers for Laini Taylor’s books, but it’s at least a big improvement. I’ve already read most of this one even though I’ve been taking my time with parts of it, and it is fantastic. Laini Taylor has such a way with words and writes so beautifully. As mentioned in the description below, there is a “star-crossed love” sort of story in it, which I don’t always like, but I think this one will work for me because even though it is sudden it is a little more complex than a lot of these types of stories are. (I say “I think” because all the details are slowly unfolding so I don’t actually know them all yet!) But I love Karou and her two worlds and the wishes and the mystery of what the truth is and the mythology and the writing and the grayness between the two sides. And Laini Taylor can write prose. She’s one of those authors I think could find a way to make a grocery list sound amazing because she just phrases her sentences so well, whether it’s just gorgeous, or humorous, or just perfect. Sometimes she just writes something and it’s exactly how to describe it but you never knew it until she worded it just right. Daughter of Smoke and Bone will be released in September as a hardcover and ebook. This is the first book in the Magic Most Foul series. I enjoyed Leanna Renee Hieber’s The Strangely Beautiful Tale of Miss Percy Parker, and I am liking the sound of this book more and more, especially after reading the first page. Plus I love the cover – I have to admit I want that dress! Darker Still will be released in November. This is the third book out of four in the Seven Realms series. I tried to stay away from books that were part of series I hadn’t read yet at BEA, but I made an exception for this one since I already have the first two books and am hoping to read them this summer. Thea from The Book Smugglers loved them, and I keep hearing they get better and better (plus she loved Eon and Eona by Alison Goodman and Eona is now one of my favorite young adult books ever). Oh, and they have a thief and I must admit I love thieves! The first two books in this series are The Demon King and The Exiled Queen, respectively. The Gray Wolf Throne will be released in August. This is an anthology of vampire stories (and I got it signed by Ellen Datlow). I am not normally a vampire fan, but I could not resist this collection of authors. Catherynne Valente, Neil Gaiman, and Tanith Lee are all in it, plus it has many other authors I’ve been interested in reading – Garth Nix, Cassandra Clare, Ellen Kushner, Holly Black, and Emma Bull. I’ve read the first few paragraphs of Genevieve Valentine’s and Catherynne Valente’s stories and am intrigued by both. Then feast on nineteen tantalizing, bite-sized tales exploring the intersections between the living, dead, and undead. The vampires in these stories range from romantic to chilling to gleeful—and touch on nearly every emotion in between. The one thing they have in common is their desire for blood. . . .
Bill Willingham is best known for the Fables comics, which I have been meaning to read. This book is also illustrated by Mark Buckingham, the artist for Fables. Down the Mysterly River looks like a lot of fun to read, and it will be released in September.